It would be bad enough to be stalked by terrifying, flesh eating zombies. Unfortunately, things are hardly so simple. There will also be other survivors amongst us. Some of these survivors will be benign while others will have only the worst intentions. The human element is what makes this so complicated. They will be looking for you and you will be looking for them. One of the best ways to get spotted by zombies or humans is to have one of those billowing fires for cooking food and boiling water. There is a time when fire is necessary. In the colder months there will be too many people with fires to really discern. Still, you want to be as discreet as you can with your fire for cooking. There is a method out there that will essentially bury your fire whilst allowing you to cook with its heat and disperse the smoke as well. 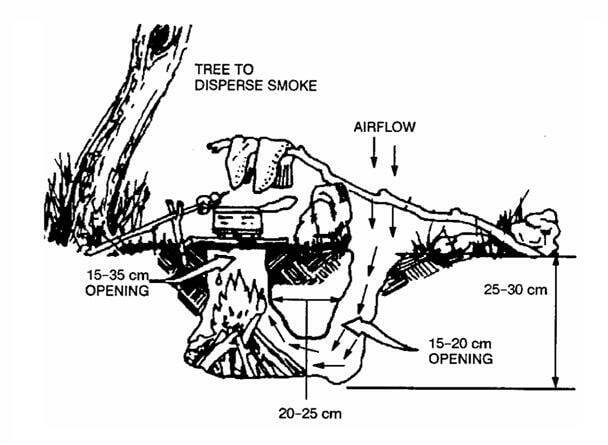 The flames will be underground and you will use a low hanging tree to disperse the smoke. This method is called a Dakota fire. To create a stealth fire or Dakota fire you are going to want to pick a nice spot. This spot should be on ground that is easy to dig and right below a nice bushy tree. In the winter or early spring look for pine trees as other trees will not have the leaves to properly disperse the smoke. From there you will need to dig two holes down into the ground a little less than a foot each. These holes should have an 8-12-inch opening. The two holes should be connected by digging out a small tunnel between them. Once you have your tunnel dug, you can begin building your fire in the wider of the tunnels. Create a fire just like you would in any other instance. The airflow from your other tunnel will stoke the flames of your fire. Another wonderful thing about this stealth fire is its ability to be covered and left without leaving the charred remnants of a fire. If you are being followed or trailed it will be much harder for them to find you if you aren’t leaving fire pits everywhere you go. Don’t forget about all the important things you will need a fire for. The Dakota fire is just one of many ways we can evade both hungry zombies and evil humans. Knowing these techniques will make all the difference. 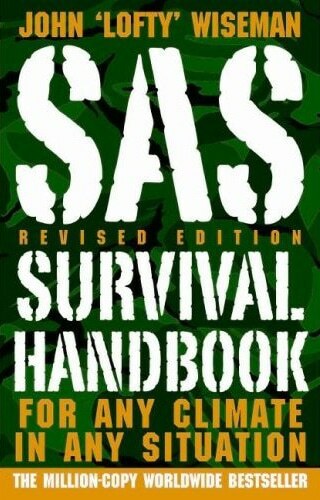 You must be able to win at the game of survival every time. Sometimes it takes a little knowledge and sometimes it just takes a little luck. 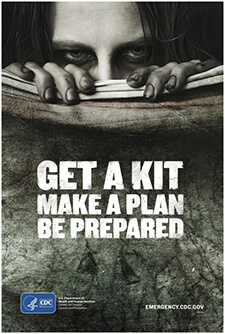 Keep up to date with zombieprepared.org for the most effective methods and techniques to swing the survival odds in your favor.